Firebase continues to innovate and dominate the backend as a service (BaaS) market. It’s grown so much that it has become a key component of Google’s mobile strategy. In the past, I’ve been an enthusiastic Firebase user, but my concerns about its complexity and cost have led me to explore other cloud alternatives. While it offers an increasingly sophisticated array of services for many kinds of development requirements, it’s not always the simplest, fastest, or most affordable option. The article Reasons Not to Use Firebase also made me more aware of the risks of using Firebase. In addition to some first-tier competitors such as Parse, there’s an increasingly growing list of cloud providers that offer useful services in ways that can benefit small developers with ease of use and affordability. Deployd – Simple core library, with a modular API for your application. Parse – Why Parse Platform is still a better option? Parse is a mobile and web application development platform acquired by Facebook in 2013. The project was open sourced in 2016 and is supported by a robust developer ecosystem. Parse is a great choice because it’s Open Source, has a strong developer community to support the technology and comes with no vendor lock-in. The downsides are the lack of structured support through the developer community and the requirement of downloading the project and setting up server infrastructure. Developers all around the world are arguing that Firebase is the best and most affordable option to build and scale mobile apps. In this article, I will provide a list of compelling arguments detailing why Parse is a much better alternative to Firebase for mobile app development. Don’t believe me? Keep reading, and you will see what I’m talking about! Below I’ve covered topics encompassing vendor lock-in, pricing, hosting options, data storage, and features. 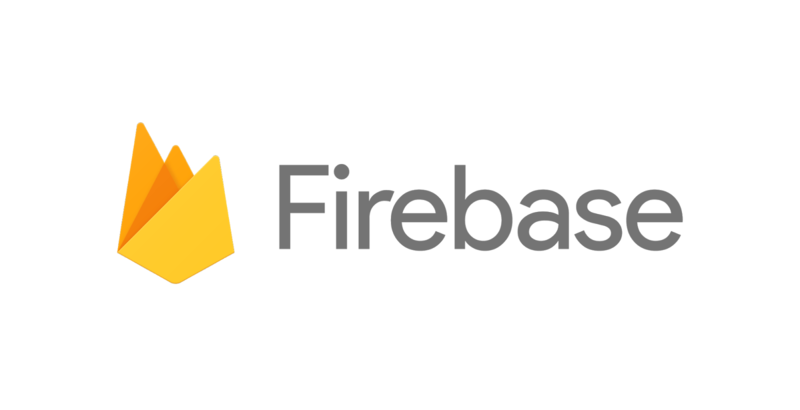 Firebase is a Google-backed closed source platform that comes with a gazillion out-of-the-box features that allow developers to get their MVP out quick and effortlessly, but one of its biggest concerns is vendor lock-in. This is the major downside of Firebase! Are you really going to invest time and money developing your app and have no control over the source code? Not having access to your source code may reduce the chances of getting your startup funded by any serious VC or angel investor, which may jeopardize scaling chances of your app. Parse platform was open sourced by Facebook in 2016, and the framework can be used following the terms of the BSD License. This license imposes minimal restrictions on the use of the software and provides much more flexibility. Always remember, the price can scale very rapidly using Firebase! The $25.00 (Flame Plan) works well only for small apps, but as soon as your app starts scaling you need to move to the Blaze plan and will not have fixed pricing anymore. Blaze is a ‘pay as you go’ plan in which you’ll not be able to fix the maximum amount that you will spend every month. In addition to that, you may get undesired surprises by the end of the billing cycle. Parse, on the contrary, provides you with much more flexibility and pricing options. You can start hosting your application for around $5/month with players like Back4app or Digital Ocean and scale your app according to your needs. Firebase offers only one type of hosting setup. That is, you must use its cloud infrastructure and share resources with other applications. This can be quite inconvenient for more complex applications that usually demand customized servers settings to optimize performance. Parse, on the other hand, is much more flexible in terms of hosting. You have basically two sets of options for Parse hosting. Either you go for self-hosting solutions and deploy your Parse project on infrastructure players like Digital Ocean or AWS. Or you can use Parse hosting services like Back4app. Another benefit from Parse is the possibility to run your application on dedicated instances and avoid noisy neighbors jeopardizing your app performance. As per item 1.5 of Firebase’s Terms of Service, the data is stored on US datacenters. 1.5: Data Storage. Unless otherwise provided for by the Paid Services, Customer Data will be stored in the United States (“Hosting Data Location”), except that the Hosting Data Location may not apply to Customer Data copied by Customer or a Customer’s End User to another location or used with other Google products and services. Providing data storage in the US can be an issue for European customers because of General Data Protection Regulation (GDPR) issued by European Parliament. That means if you store personally identifiable information of European members on your app or website site on servers based in the United States, you may not fully fulfill European requirements. Parse data can be stored in any location of the world because of its flexible hosting options. Back4app is the world’s most popular Parse hosting platform. It provides a fully managed backend featuring automated provisioning and scaling of Parse Server applications, backup and recovery, 24/7 monitoring and alerting, web-based management tools and support, and more. The pros of Back4app are pretty much the same as Parse along, and it comes with many other additional features like a user-friendly dashboard, the ability to scale app and support. The downside of this platform is the lack of good documentation and non-standardized UI inside its docs’ page. Kinvey is a fully-integrated, secure, and HIPAA compliant serverless app development platform that helps enterprises and developers launch successful & engaging mobile apps and entire digital businesses. It gives you the freedom to use the frontend SDK of your choice while still providing virtually any backend feature you might need. Some of its key features include standards-based open architecture, no cloud lock-in, great docs and open source SDKs, 86 percent faster release cycles, complete set of tools to deliver high quality, immersive experiences, and more. Its major downside is its high costs. Backendless is a highly scalable mobile Backend-as-a-Service (mBaaS) platform providing gazillion of features, including user authentication, live audio and video streaming, message filtering, push notifications, auto-scalability, data persistence, file storage, geo-location, cloud-code, analytics, and custom business logic. It has it all what you need to build awesome mobile apps without worrying about servers. There are several shortcomings of this platform, which include conditional message delivery, limited free version, limited resources of the server (which may affect the performance), and partially limited possibilities of development, which makes it difficult to perform the tasks that require complex server logic. Kuzzle is a ready-to-use, on-premises backend platform designed to power and unify innovative applications for web, mobile, and IoT. A unique proposition based on Time-to-market (TOM) reduction of digital products by 40 percent and increase Return on investment (ROI) on innovation cycles. The Kuzzle backend is an open source solution that includes a scalable server, a multi-protocol API, an administration console and a set of plugin engines that provide advanced functionalities, including real-time pub/sub, blazing fast search, and geospatial queries. Top reasons why developers prefer using Kuzzle over other mobile backends is its persistent storage, Real-time through filters, multiprotocol, etc. Its disadvantage is that it has a No-hosted version, which requires installing it to a remote machine in order to use it, and the fact that it is a very young project (it is in alpha version and is approaching beta). Pubnub is a secure global Data Stream Network (DSN) and easy-to-use API that allows developers to connect, scale, and manage real-time applications and IoT devices. Beyond its core services including Publish/Subscribe, Pubnub Functions, and ChatEngine, Pubnub offers a collection of “building-block” services for any type of real-time application, which includes Offline Mobile Push, Real-time Analytics, Storage/Playback, AES Encryption, Online Presence Detection, access Management, Multiplexing, and more. While Pubnub has its own set of merits, such as easy-to-understand pricing model, a separate API for managing accounts, flexible to integrate to custom applications, and the availability of client API in a great number of technologies and languages, it has some pitfalls as well. This includes the supported message payload size, which is 1.8 kb by default. Apart from that, it doesn’t have an exclusive isolation level. Kumulos is a secure, easy-to-use, and powerful mobile app performance management platform trusted by thousands of app developers across the globe. It lets you easily link your client-side mobile app to its backend cloud-based storage, setting you free from the hassle of managing your own backend infrastructure. One of its noticeable features is granular permissions, which is a boon for mobile app development companies. However, its downside is its weak documentation. Game Sparks is a cloud-based backend development platform for gaming developers, which helps them build their server-side components without ever having to set up and run a server. What makes this platform so impressive is the fact that it’s completely open, scalable, and customizable, which makes it an ideal framework on which you can build your own backend capability and integrate with existing components. Additionally, its rich set of social and messaging features helps in increasing retention and engagement across your player base. So far, we haven’t found any cons of this platform on the internet. Deployd is an open source API design and deployment platform that empowers developers to hastily design, customize, and deploy an API for their application. It consists of a simple core library, with a modular API for extending your application. Deployd’s local-dev-friendly design makes it easy for you to quickly build and test APIs while you develop your user interface. Some of its highlighting features include secure access to database APIs directly from untrusted clients, user and session management, all APIs exposed over REST / HTTP, can be hosted by modern cloud platforms, support extension through node modules and npm, etc. Its major downside is that it only supports MongoDB. Open Source project. Downloading is required and the app has to be hosted in a cloud provider. Don’t let your backend become a bottleneck for your app. Decide wisely and choose a technology that you’re comfortable working with to ensure scalability, flexibility, ease of use for development, and most importantly, cost-efficiency. My personal advice to you would be to go with Back4App (just like what I did). They were the best bet for what I was looking for, and I’d suggest you do the same without any second thoughts. It is a really good option for a generic app backend. If you’re ready to build your next app on Back4App or would like to give it a try, then sign up here for free! Thanks for the article, I'm currently looking at alternatives that are available. However, could you possibly clear something up - using Firebase and Back4App as a comparison, if I use the Blaze calculator and try and set similar items to about the same levels, I'm getting a price comparison of ~$40/month (Firebase) vs $99/month (Back4App Advanced). Admittedly I could be missing something specific as it there is no one to one mapping between items, but the items I've changed for Firebase from the free tier are: - Realtime database increase to 4GB stored - Cloud firestore increase to 4GB stored - Storage increase to 250GB stored - Cloud functions increase invocations to 6M (5M not available), GB-seconds to 2M, CPU-seconds to 1M and egress to 25GB Are you able to provide any further details? Regards, Craig. Excellent post. I would change the column "Lock-In" to "No Lock-In", because we usually look at these tables and all the "Yes" values as something good, like a wanted feature, and the "No" as something good that is missing. So when you see a "Yes" in the column "Lock-In" for Firebase and a "No" for Parse, it is not clear at first that it is a good thing for Parse and a bad thing for Firebase.